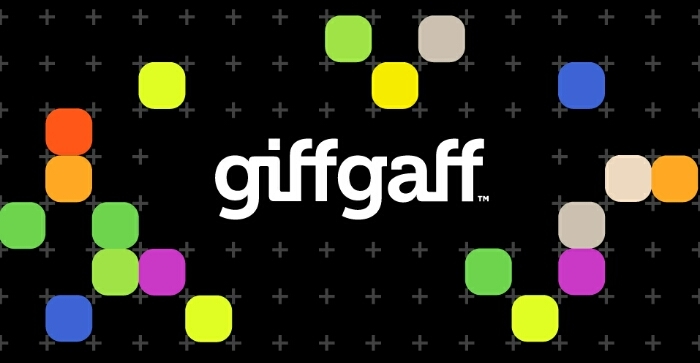 We recently covered the news that GiffGaff were asking their members how they wanted a new and improved goodybag to work. Have a read here if you’re interested. Basically they need to change how the unlimited data package works as apparently some users are using far too much data. This is their stance on it. Unlimited data goodybags attract a relatively small % of members who use a hugely disproportionate amount of network capacity. This excessive usage can then impact the experience of the majority which doesn’t seem fair. We want to give you a goodybag range that is great value and structured to limit this kind of excessive usage. This is what they asked people to choose from as regards future packages. As with everything these days, some people were outraged. 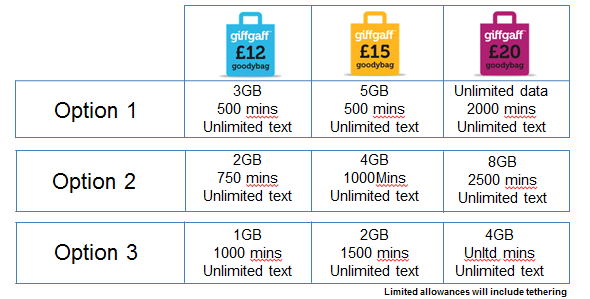 Earlier on today the GiffGaff Twitter account tweeted a link out mentioning the package changes. I just had to have a look. It took me to this forum page here where they discuss some facts and figures. The long and short of it is that, yes they’ll be putting prices up, not as much as we all feared and that existing customers can get the unlimited data package a bit cheaper than the new price if they sign up soon. It also seems like they are going to throttle bandwidth for repeat offenders of huge data consumption. a) Where members are using more than their fair share of network resource during the busiest hours, a 300 kilobits per second (kbps) restriction will be introduced for the remainder of the peak period. This speed will ensure that members are able to use the internet but with less impact on other members. b) A peer to peer speed restriction of 100 kbps during peak hours will also be introduced for these members. Any speed restriction will be removed at the end of the peak period. As the forum mentions these changes are coming into play as of the 24th of September. So if you’re thinking of signing up with them do it quickly. So all in all it’s basically a £3 price increase for the unlimited data package, which is just about alright. How do you feel about it? Are you going to jump ship?